If you really want your podcast to take off in 2019, you’ve got to migrate from your own site and find a file hosting site. Some make it easy to gain exposure, some give you access to major bandwidth, and some give great hosting for FREE! 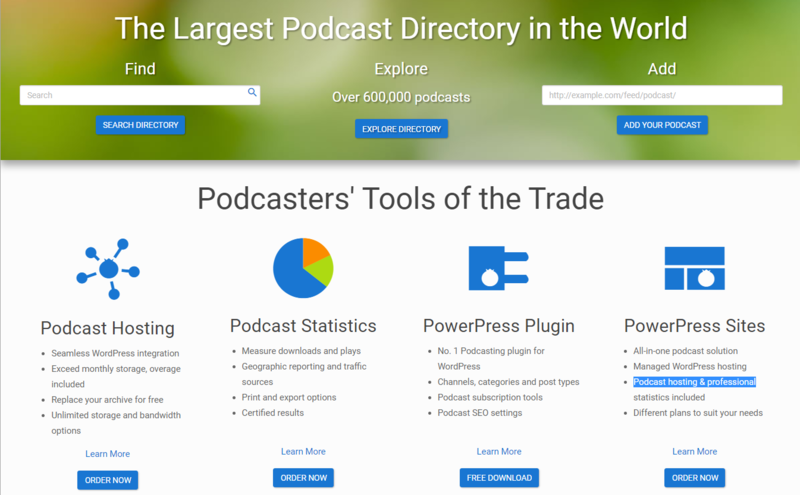 The best file hosting sites for your podcasts depends on what fits your goals. The only way to know is to read this review! First, What is File Hosting? If you don’t already have a podcast, check out our articles to find out how to create your very own! Even if you do, we’re sure you’ll learn some useful tips you didn’t know. Just to make sure we are on the same page here, we’ll cover what file hosting actually is. File hosting is just a fancy schmancy term for storing your data. Everything on the web is hosted somewhere. It’s a service that stores data for the user so that it can be accessed by anyone on the web from their own laptop, tablet, or phone. Imagine that you’ve just recorded the most amazing critique of Bird Box (Sandra Bullock at 54, WOW). Now what? If it just sits there on your computer, nobody will have access to it. You’ve got to turn it over to a service provider to host it on the web so people can find it. That’s when knowing some of the best file hosting sites comes in handy. You are free to host your own podcast, but you probably shouldn’t. Depending on your web hosting services, you probably don’t have the bandwidth to handle heavy traffic. That, and uploading your podcast can cause your site to crash. A file hosting service handles all of the issues for you AND provides unlimited storage. It’s worth the extra couple of bucks a year. There are even FREE file hosting services (we cover a few here…keep reading). We promised to cover our top picks for hosting services in more detail in a previous post. The biggest name in the podcast hosting industry, Audioboom is the be all end all and the place to start for any podcaster looking to find a host. That’s why it’s #1 on our list of best file hosting sites! They are the top name in hosting, distributing, and monetizing blogs, and they are consistently rated highly for their ad expertise and tech savvy. They are experts at connecting podcasts with listeners and helping casters find new and lucrative revenue streams that they didn’t even know existed. Our favorite feature is the advanced analytics that lets you delve deep into the details of who’s listening, why, and how to give them more of what they want. 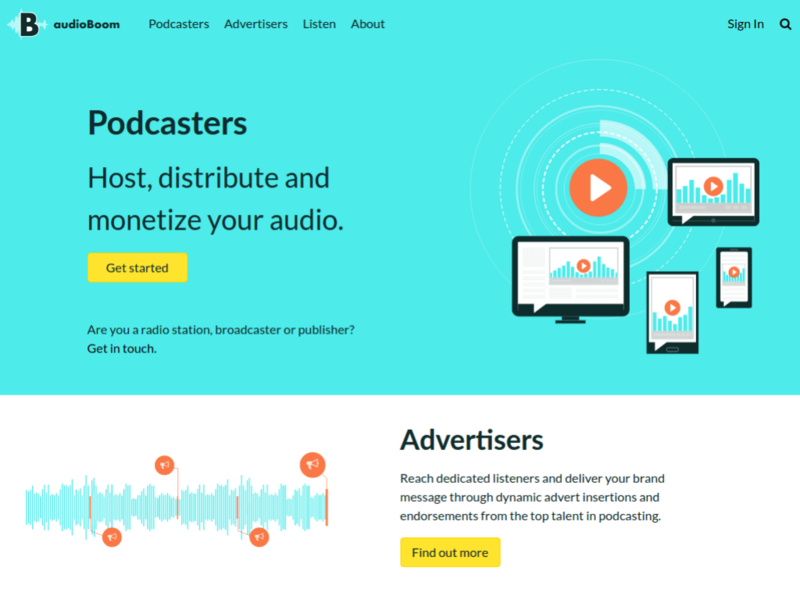 This leads to more advertising opportunities and exponential growth of your podcast audience. Of course, this all comes at a price. It’s $9.99 to start, and that gives you 5 episodes per month. For podcasts with more than 10,000 listeners per month, deals can be swung. Blurberry has been in this business since back when podcasts were played on phonographs (circa 2005). They are widely regarded as the most tech-savvy host out there and specialize in best-in-class content delivery systems and analytics. A hosting package with them includes everything you could possibly need and more. If it weren’t for Audioboom’s pull on the marketing side of things, Blurberry would probably be #1 on our best file hosting sites list. Blurberry also has something that no one else can claim: an active podcasting forum to help give you the skills to take your game to the next level. Pricing starts at $12 for 100MB (what a deal!). Buzzsprout is the easiest way to start, host, and track your podcast, and it has helped 50,000 Freakonomics wannabes get into the game seamlessly. If you’re a new podcaster, this is probably the best option for you. The no-nonsense platform allows you to easily create and publish episodes in just a few clicks. It’s FREE for the first 90 days. The features are pretty comprehensive, though not as robust as other names. You’ll have a nice client dashboard that you can view all important info from. They’ll list you in iTunes, Stitcher, and all the other big-name directories and even optimize any audio file you give them. 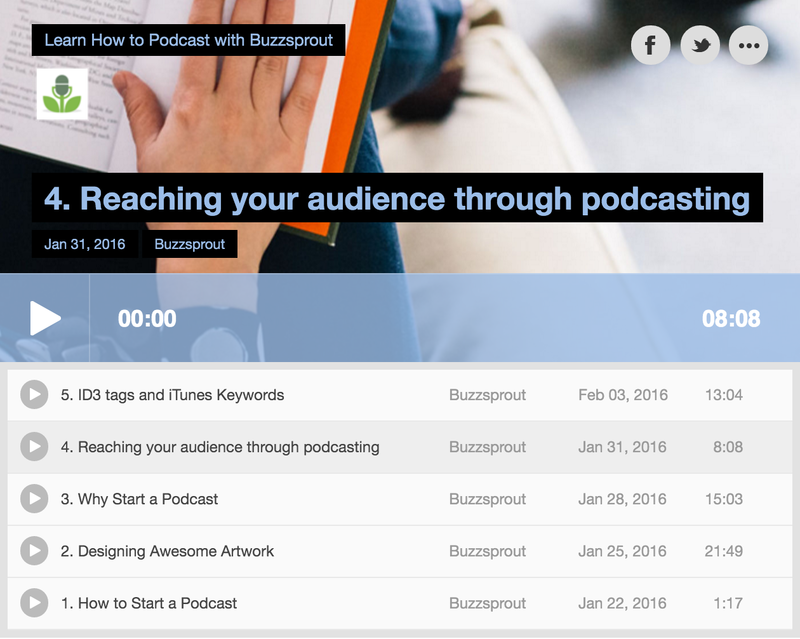 Cool feature: Buzzsprout will help you create your own podcast website. Host to over 50,000 shows, 7.2 billion downloads, and a track record stretching back to 2004, it’s hard to argue with any of Libsyn’s credentials. One great feature is universal access to everything across all major platforms via your MyLibsyn account. 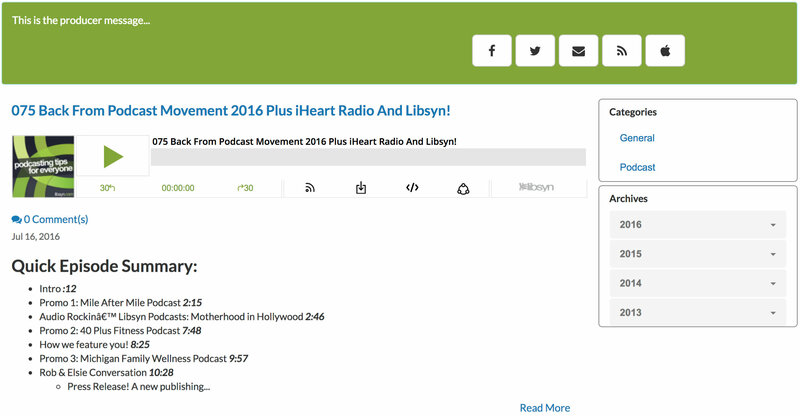 Libsyn will even develop a custom app for your podcast so you can deliver other monetizable content! This is definitely the best FREE file hosting option. 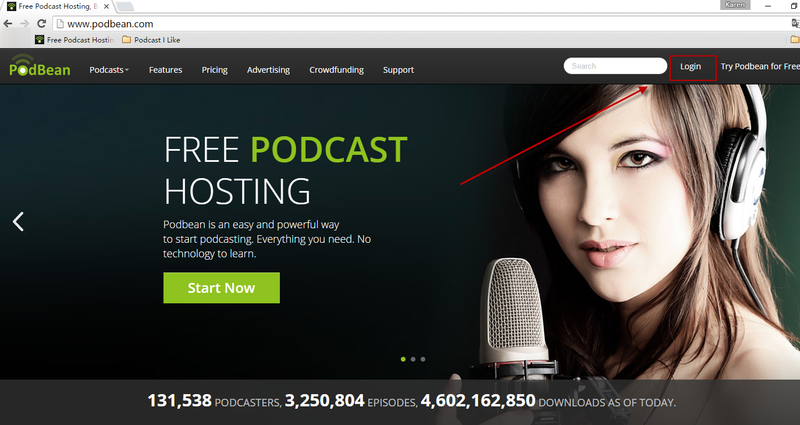 Podbean is one of the ultimate best file hosting sites those just getting started in the podcasting space. Simple, free, straightforward—you can have your first podcast up and running in a matter of minutes (assuming you actually know what you’re talking about). They have all of the services you’d expect out of a hosting provider: monetization, advertising, and tech. But, where they really appeal to the newbie is their FREE starter plan and simple technology. There are no tech hurdles to starting your podcast (this is a major issue for non-tech-savvy casters). The free plan comes with 5 hours of storage space, 100GB of bandwidth, and your OWN podcast site. You can’t beat it for free! Last but not least comes Simplecast. For just $12 a month, you can get 1-click uploads to the Apple Store and other major distribution platforms with unlimited listener plays, user analytics, a customizable website, and embedded audio plays. 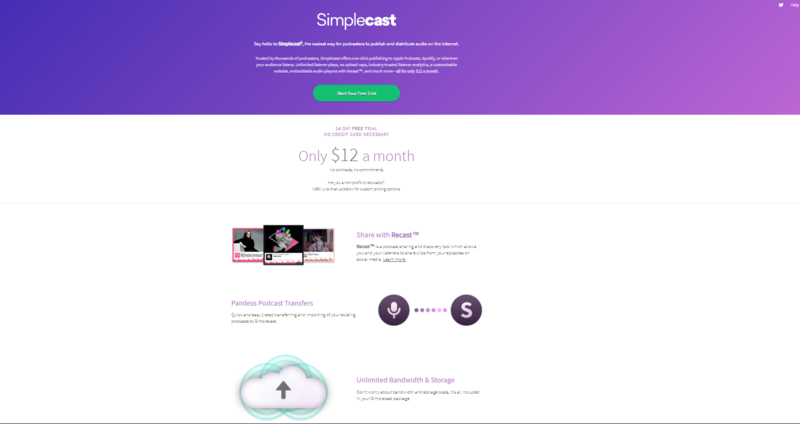 What draws users to Simplecast is its unique “Recast” function. It allows you (and your users) to share tidbits of your podcast via social media. It’s a great way to get your name out there and get some free advertising. Worried it isn’t for you? You get a free 14-day trial. Nothing to worry about! Ahhh, to be in high school again (actually, no. Forget that). Soundcloud isn’t a file hosting site per se, but you CAN host your podcast with them if you’d like. It’s a great tool for discovering new music and artists that nobody is talking about, but beyond that, it could open your podcast to a whole new subset of listeners. It’s not necessarily the best place to host a podcast, but it’s a good option for music streaming and MAYBE hosting a podcast on the side. Honestly, we included this as one of the best file hosting sites because we just had fond memories of listening to our friends’ bands’ terrible music in high school. Can introduce your podcast to a whole new subset of listeners. There you have it! The best file hosting sites for podcasts on the web. Whether you are starting the next vegan death metal recipe podcast or need to gab about Thai football scandals, these sites are the best place to host your pod, grow your audience, and make millions! For the best document hosting service (ok, we tried), download Soda PDF!